Exciting news!! Shopbop is back with another big sale!! It’s a great opportunity to stock up on fall fashion finds, style staples and and even some holiday gifts… the early bird gets the worm, right? Enjoy 20% off orders under $500 and 25% off orders of $500 or more when you enter code STOCKUP18! Below is a roundup of favorites from the sale – don’t miss this week’s TUESDAYTEN roundup from Instagram Stories, which is now on THE SHOP in the TUESDAYTEN category! Every item I featured yesterday is part of the sale! LOOOOOVE this new boot style from Stuart Weitzman. The silhouette is elevated and sleek, and the smooth leather is very striking. Love the leather look of these coated skinny jeans. The ultimate fall/winter wardrobe staple! I bought this turtleneck last week in a brown color (on another site), but found it here available in four different neutrals! It’s under $150 and super soft – the length is great too. Size down! I bought an XS. 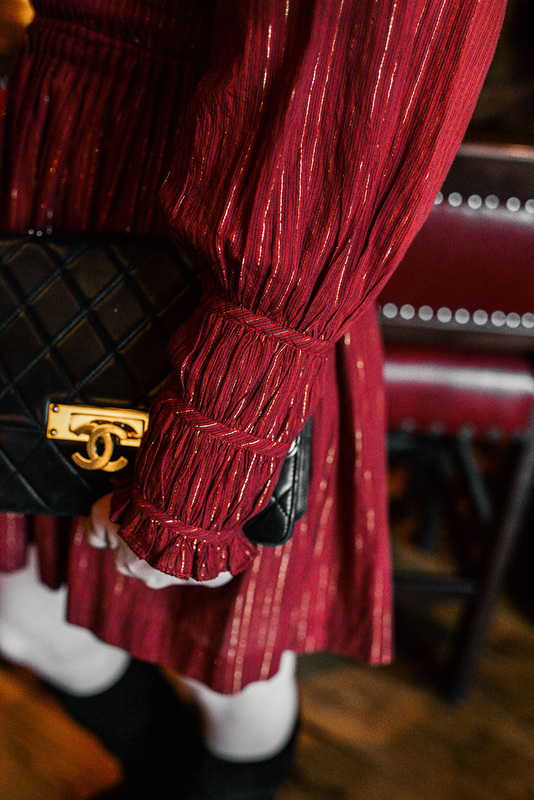 Looking for a good date night blouse? Try this one. 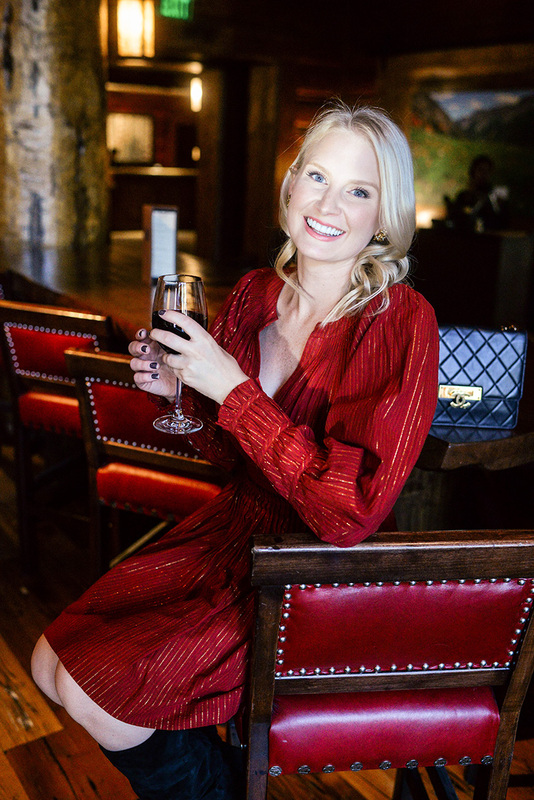 Velvet is back and big again for the season – don’t miss this beautiful dress for date nights and parties! These flats are already only $110, and they’d be a solid work shoe for fall. Speaking of work, this blouse looks like it would be an amazing work-to-weekend staple. Pair with nice black pants or a skirt and pointy-toe pumps for a work event, or with black leather pants and fun heels for a night out! Definitely buying this sweater in grey. It looks crazy soft, and I love the effortless silhouette and neckline. If you’re in need of a new white tee, this crewneck style is a winner. This dress is totally wild, but I’m obsessed. FASHUN. Ulla Johnson also does shoes and they are crazy cute. Especially love these, these and these. If you didn’t know, now you know. What do you think the chances are of this coming back in stock in my size before the sale is over? I need it! 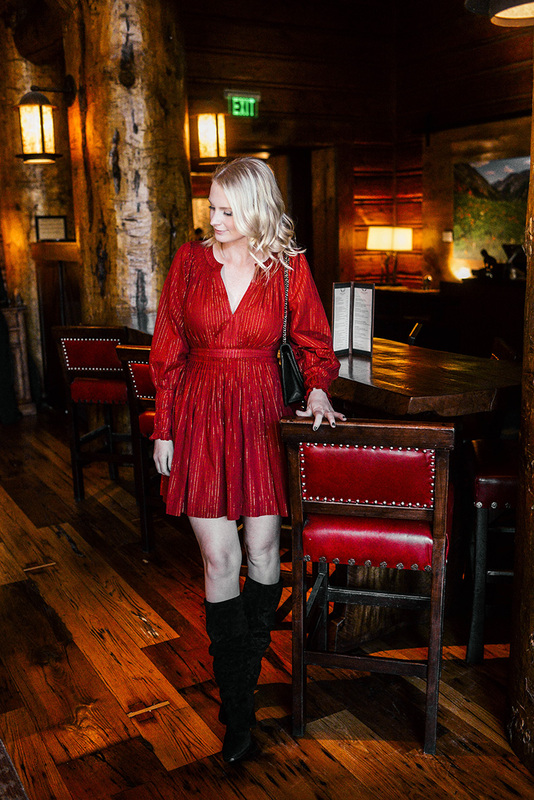 PS: my dress and my boots in this post are both part of the sale!!! Love the dress for parties and date night looks this fall, but it looks great with my Golden Goose sneakers too for more casual situations. These boots are my newest shoe purchase for fall – I was in need of a black not-over-the-knee style that would be useful day or night. I love the slouchy look of these, and the sturdy, comfortable heel! It’s a great heel height for all day wear!